The P collection from Panizza this season draws its inspiration from the style of the French Neo-impressionists and the Pointillism and Divisionism of Signac and Seurat. Luminosity is created by systematically juxtaposing the colour palette and optically mixing tones, tints and pigments of a unique purity, resulting in a balance fed by the contrasts of irradiation and degradation. Side by side in the collection are classic models, iconic models in light felt, made with new combinations of colours, and models inspired directly by the Neo‐impressionist movement. 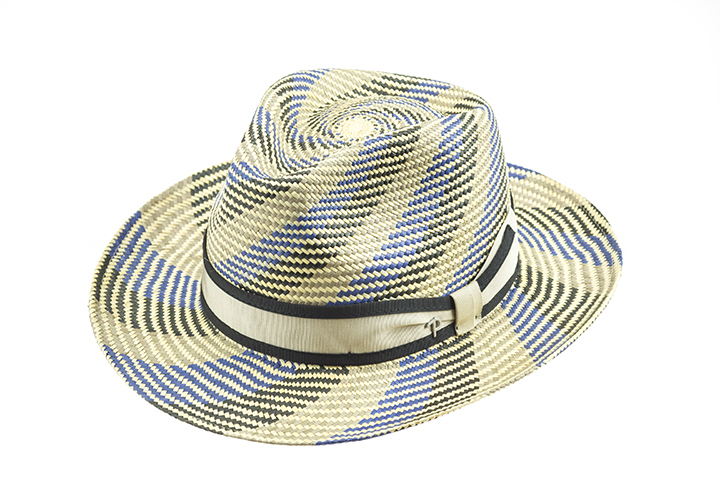 The predominant crown is characteristically fedora, with room for either square or round structures; the brims range from narrow and medium through to the wider kind, for a collection that is complete in shape and size; the selected straw has thick and resilient texture, guaranteeing a perfect shape. 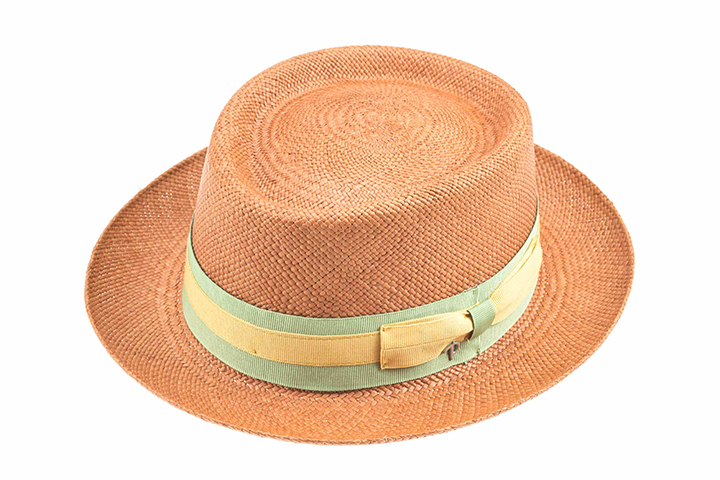 The edging and trims, made in grosgrain, often contrast with the hat colour, or are two-toned; high and prominent bows, sometimes pleated, contrast with others which are more subtle and delicate. The variegated straw in ecru and brown is reminiscent of Aztec designs, while a swirl of white, natural colour, blue, black and grey culminating on the crown of the ha creates an organic movement of balanced inlays. The colour palette is vivid and vibrant. The ever-popular “black and white”, and straw in optical white and natural colour, sit alongside lively colours contrasting with equally dazzling bands of orange, apple‐green, coral or the shades of the sea. Fantasies of mixed weaves of straw, in colours like blue and brown, conjure a harmonious geometry and swirling designs.